Hello my loves, todays blog post is a super exciting one and I feel so happy that this has come my way. But a few days a go I was tagged in the Sunshine Blogger award by one super sweet lady called Hannah at https://nightowl221.wordpress.com make sure to check Hannah's blog out she posts some lovely things and is an absolute sweetheart! Thank you so much Hannah for tagging me in this, it means so much to be recognised for blogging awards no matter how big or small - it's just one of those feelings that makes me feel warm inside knowing people actually like to read whatever I babble on the internet! Answer the 11 questions the blogger asked you in their blog post for the award. What was the last tweet that you wrote? The last tweet I wrote was as follows:"I’ve just discovered gif challenges in Instagram from a talented lady called @martinamartian_ they’re so much fun and her designs are adorable check it: http://instagram.com/knight.michaela " and if you're not already or just curious to stay up to date on what I'm doing please feel free to follow me on Twitter @michaelal_k - lets be friends! What is your favourite type of music and favourite band/musician? I have mentioned this in one of my Youtube videos that I have a very eclectic music taste. I love so many different genres of music that it's so difficult to pick just one. But I always lean towards pop punk, indie rock, lo-fi hip hop and alternative rock. As for bands/musicians I adore Lights, Arctic Monkeys, The 1975, Grimes, PVRIS, CHVRCHES, Kendrick Lemar and The Smiths. How long have you been blogging now? I've been on and off the blogging radar for roughly 3-4 years. I've started and stopped so many blogs throughout that time it's hard to pin point exactly how long - I'm a fragmented individual but to keep things simple I'll go with my active blog which is this one and I've had this blog since December 2017. Your must-have beauty/skincare product which you must have at all times? Without a doubt my Liz Earle Cleanse and Polish - I cannot go a day without that little delight it makes removing make up so effortless and leaves me skin soft, clean and smelling divine. What job did you want to do when you was little? Is it the same or has it changed? I always wanted to be in the film industry whether that was a SFX Editor or Cinematographer and that was the main reason I went to university to study Media Production - I still love media and films but my interests and altered slightly. I'm much more into eSports, social media platforms and videography (but in a more laid back way such as vlogs etc). Who is your hero/icon? I'm not entirely sure I have a hero to be honest with you all, there isn't one person who springs to mind whenever this question has come up but there are definitely people I admire in life and aspire to be like such as Lights and Audrey Hepburn. What is your favourite social media platform to share your blog posts? I adore Twitter - a lot of my following and the people I interact with most are on Twitter. I follow a lot of bloggers, YouTubers and blogging accounts that help promote a lot of my posts. But I want to start using Instagram more for promoting posts! What inspired you to start blogging? Ever since I found blogs through youtube I became obsessed with the idea of having my own little space on the internet to vent, express, share and explore. Being a social media enthusiast and a media graduate in general I've always been in touch with blogging and wanting to share aspects of my life with others. Favourite baby names? I've always loved the name Ivy for a girl and Noah for a boy. Favourite UK city? London - hands down. But to be honest I've not visited enough cities in the UK to make a fair decision but London has always held a special place in my heart. Do you have a favourite memory - if so what is it and why? Do you have a favourite season? Spring, Summer, Autumn or Winter? What is your holy grail product? Make up, skincare or haircare? Who is your absolute best friend and why? How many places have you travelled? Is there anywhere you're dying to visit? Your favourite holiday in the year? Thank you again to Hannah for the nomination, I really enjoyed this post and I look forward to seeing everyone I've nominated do theirs too! 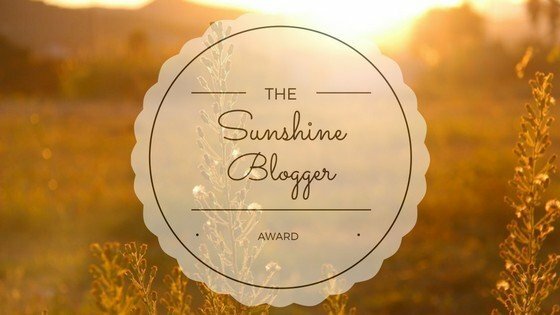 7 comments on "♡ SUNSHINE BLOGGER AWARD ♡"
Such a fun little post! The Liz Earle cleanser is such a staple, I love it so much too! Aww the name Ivy is so cute. Thank you for nominating beauty, I might do this in a video!